Nowadays, almost everything is digital. Technology is so advanced that we can find almost everything we need on the Internet. Meaning, if we are talking about music, information, news or recipes, we just need to open Google and type the necessary keywords. We instantly get millions of results that answer all of our questions and provide us with more information than we need. However, digital data had one big problem for the past decade – it wasn’t easy to backup. 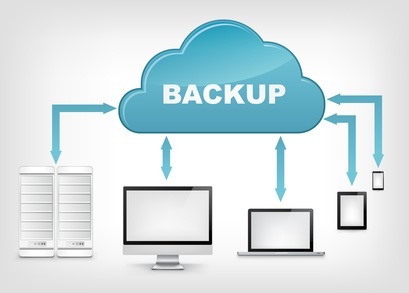 Thankfully, nowadays we can take advantage of the best online backup services, some of which are available for free, while others come with a premium tag to store our most important information. This is a paid service and its users must pay a $7 monthly fee. However, for these dollars, you’ll receive practically unlimited storage space and a wide range of features and functions that help you keep track of your files and synchronize the content on your computer and on the cloud storage. This is certainly one of the best storage services if you can spare 7 dollars a month. Dropbox is one of the most popular online backup services, because it also offers free online backup, which is ideal for personal use. Basic users get 5GB storage space, but you can pay for more. One of the best things about this service is that it is used by millions of people, so sometimes sharing files can be much easier. It features a handy synchronize function and can be used on smartphones as well as computers. If you are looking for the best online backup service, then MozyPro must be your choice. However, this service isn’t recommended to regular users, because of its high price and lack of trial period. Its users pay a lot of money but get whatever they need, so this is one of the best choices for professionals. The prices per GB at SugarSync are quite good, but this service has one great flaw – it can’t be used by Linux users. Another problem is that you can’t use as much space as you want, because every user’s storage space is capped at 500GB. Google Drive is basically Google’s alternative to Dropbox. It also offers 5GB free space which can be expanded for a small fee. One of the greatest things about Google Drive is that the service is integrated with many Google products. This is one of the oldest online backup services. It has been around for many years, but its community isn’t as big as you’d expect. On the bright side, it is really affordable and its prices start at $4.49 per month. You can get up to 75GB of disk space, so it is a great choice for regular users who want to backup their important files. Carbonite is another old online backup service, but it offers more functions than Backup Genie. However, its price is also considerably higher. One of the best packages costs $59 per month and provides you with unlimited space and a range of handy features. One of the unique things about Carbonite is that its users can request hard copy DVDs of their files. Keeping an important file on your hard drive may not be enough to protect it. You never know when your hard drive will face a serious problem that will corrupt all data on it. Thanks to these top cloud backup solutions you can have your most important files copied to one or more locations and protected with a password or encryption. Of course, you can also get the added benefit of using the free cloud data backup services for many other purposes as well – storing music, photos, clips, movies, projects and absolutely all kind of digital data. Shah is an online blogger and writer interested to write about seo, social media, blogging and google policies on seobuzzworld.com. You can join Shah at Google+. I would add BackBlaze, which I am currently using, to the list. It offers unlimited backup for less than $5 a month. If you have to restore a large amount of data you can have your data sent to you via a USB Flash Drive or a hard drive. It is what Mozy used to be a few years ago. Thank you Paul for adding BackBlaze to this list. I haven’t tried it myself but will definitely check it out.